Dozens of U.S. intelligence analysts formally filed complaints that their honest intelligence evaluations regarding the Islamic State of Iraq and Syria (ISIS) and al-Qaida’s branch Al Nusra Front in Syria were altered by superiors to prop up President Barack Obama’s false proclamations that he and his “national security team” are winning the war. Meanwhile the Republican Chairman of the House Intelligence Committee was quoted on Thursday as openly accusing personnel at CENTCOM of deleting files that might reveal their intelligence assessments were “doctored up” to show U.S. success against Islamic State of Iraq and Syria (ISIS) jihadists. As previously reported in the Conservative Base, Fox News’ Chief Intelligence Correspondent Catherine Herridge was informed by her anonymous but reliable source, who is an associate of the CENTCOM intelligence analysts, that they were instructed to avoid negative reports. In fact, they received two emails saying the analysts needed to “cut it out” and “toe the line,” when submitting reports.“We have been made aware that both files and emails have been deleted by personnel at CENTCOM and we expect that the Department of Defense will provide these and all other relevant documents to the committee,” Rep. Devin Nunes said at a hearing on worldwide threats facing the United States. In an earlier report published by the Conservative Base, it was reported that some of the intelligence community’s top analysts informed the Pentagon’s official watchdog that their reports have been systematically edited to backup President Obama’s — and his national security team’s — false narrative in which they claimed the air campaign against ISIS is more successful than it actually is. An example of this alleged fraud was the sworn testimony of General Lloyd Austin, commander of the U.S. Central Command (CENTCOM). Gen. Austin testified before the Senate Armed Services Committee that an multi-million dollar military program that was supposed to train a large number of Syrian rebels — about 1,000 was the number circulated by the White House — to fight ISIS resulted in producing an embarrassing four or five anti-ISIS fighters for front lines. 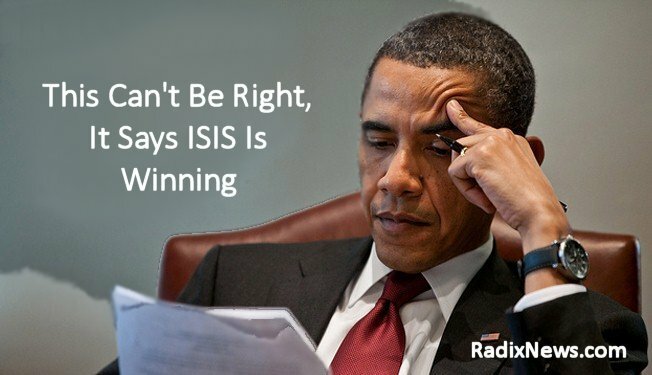 According to the general’s testimony, American taxpayers are pouring an estimated $9 million per day on the war against ISIS since August 2014 and we have only Obama’s almost constant self-congratulations and amateur comedy act poking fun at those who point out the abysmal results of his foreign policy in the Middle East. Two of the intelligence analysts assigned to the U.S. Central Command, or CENTCOM, wrote an official complaint and sent it to the Defense Department’s inspector general in July accusing their superiors of doctoring up their reports to make it appear that the Obama administration is winning against ISIS. Since then, more than 50 analysts given their own complaints in the hopes that someone in the U.S. government takes action. Some of those 50 analysts are officially employed by the Defense Intelligence Agency (DIA) and others are contractors. Their complaints accuse their superiors that at times key elements contained in their intelligence reports were removed. They said that in the end an intelligence assessment did not reflect the analysts’ conclusions. Unfortunately, the reports by Fox News’ Herridge, the Conservative Base and other news and commentary publications aren’t the whole story of deception and fraud. The complaints go far beyond alleged altering of reports. Some of the complaints have to do with accusations that some senior leaders at CENTCOM created an unprofessional and hostile work environment. One source who is very familiar the contents of one of the written complaints sent to the inspector general claims that the word “Stalinist” was used to describe officials overseeing CENTCOM’s intelligence analysis. “Although the analysts should be praised for not only coming forward as whistleblowers, but they should also be congratulated for blowing the whistle in a mature and constructive manner. This is one of the worst allegations of government corruption I’ve heard about since the days of Richard M. Nixon and Watergate,” said former military intelligence operative and police detective unit commander Franklyn Lovell, Jr.
“There’s only one problem: the reporters in the early 1970s despised Nixon and were more than happy to bash him, but the news media today loves Obama and although they will publish or air negative stories about him, they don’t want to see him fail. In fact, I will bet that these reporters already wrote their ‘comeback kid’ news stories in anticipation that nothing will come of any of the scandals in the Obama administration,” said Lovell.